Just realized this is really a complete outfit - wonderful - Thank you!! This is fantastic! Thank you for your generous gift! Thank you very much - great work. CA (8 years ago) Inappropriate? 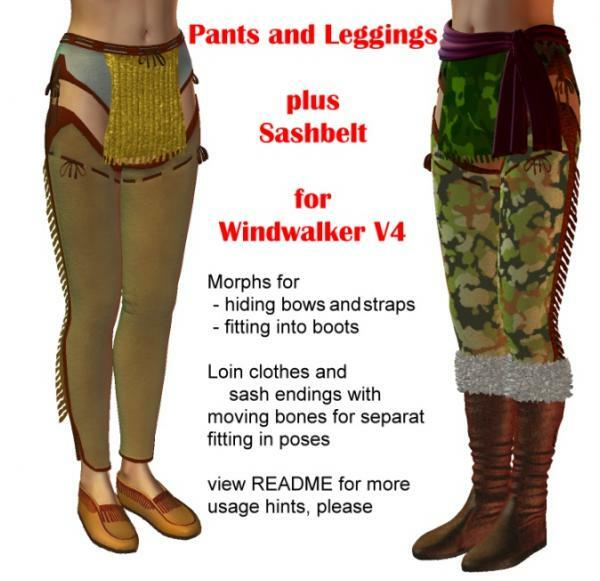 Stumbled on this by accident but I am thrilled as I've been wanting to work with Wind Walker and this bundle makes what I want to do possible!!!! Cuddz (9 years ago) Inappropriate? Jan_scrapper (9 years ago) Inappropriate? Thank you so much for sharing such wonderful footwear and legwear to complete a wonderful outfit. Beautiful work on these!!! I am overwhelmed at the generosity you and so many others in Poserland have. Tnak you very much !!! JoEtzold (10 years ago) Inappropriate? Thanks for these. They look fantastic!